The kat is out of the hat…. Vision Hound is throwing another Melbourne Katermukke showcase. This time we’ve secured an open air, lane way in the heart of Brunswick. 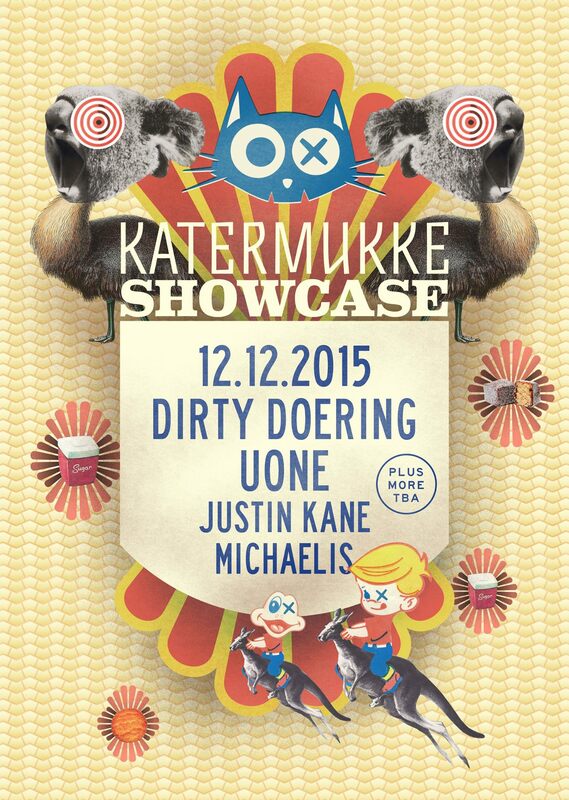 Katermukke Label boss and massive legend ‘Dirty Doering’ will be gracing us with his twisted, funked up, naughty style of house music. On support duties, Uone will be clowning around with his usual bag of space, mind tricks. Plus local cats Justing Kane & Michaelis.